Janet Robinson recently stepped down from her position as chief executive officer of the New York Times (s nyt), and while there haven’t been any official announcements about why she left, the Wall Street Journal says that Robinson’s lack of knowledge and/or performance on the digital side was a contributing factor. Obviously, the Times and its board — including the Sulzberger family, who control the stock — probably have their own ideas about what the newspaper company needs to do in order to succeed in the new digital era, but I thought I would put together a few suggestions in case they are looking for some help. It’s worth noting that things don’t look quite as dire for the Grey Lady as they did just a couple of years ago: due to ongoing declines in circulation and advertising revenue — and therefore cash flow — the paper had to borrow $250 million from Mexican billionaire Carlos Slim Helu (at a whopping 14-percent interest rate) in 2009 to keep its financial health from deteriorating further. It has since repaid those loans, and taken other steps to improve its finances — including the launch of its “metered” paywall and the sale of some assets such as a chain of local papers that is on the block. Scale back the paywall: As mentioned, the NYT wall is bringing in some revenue, which is good, but it’s probably not going to grow much beyond the levels it has reached already. As I’ve argued before, it’s also fundamentally backward-looking, in that it is aimed primarily at shoring up print revenue (as is boosting the cover price, which the NYT is also doing). The new CEO shouldn’t kill it, but shouldn’t focus on it either. Go digital first: Assuming the new Times CEO isn’t John Paton, who just became the CEO of Media News Group, he or she should take a cue from Paton’s approach at the Journal-Register Co. and make digital first a reality. That means putting digital people in charge, and focusing on the web first and the paper second. Steve Buttry of Digital First Media has a good overview of what this means in practice — and some writers at the NYT like Brian Stelter are already doing this. Invest in apps and events: Although there are a lot of issues around content-based apps (including the fact that Apple takes 30 percent of the revenue), there is a case to be made for launching apps that are based around specific topics — and possibly even specific people. Why not give fans of foreign correspondent Nick Kristof an app that gives them access to all of his content, and maybe special offers that require them to contribute information (or even payment)? The NYT should also take a cue from The Atlantic and the Texas Tribune and have more real-life events, including some built around personal brands such as Kristof. Launch an e-book imprint: The NYT released an e-book about the WikiLeaks saga earlier this year, but it shouldn’t just be dipping its toes into this area. As other newspapers have shown, e-books based on news events can be popular — even when they are based on work the paper has already published — and the NYT could easily have a dozen or more by now, around every major news story from Iraq to Japan. They would sell, and other authors would want to be part of it. Buy something like Flipboard: What could the NYT buy that would make a difference to the company in the same way that About.com did when it was acquired for $410 million back in 2005? Flipboard fits the bill: It would be expensive, since its last round of funding valued the company at about $200 million, but the Times could learn a lot from the platform — in the same way that CNN is trying to learn from Zite, which it acquired earlier this year. Like About.com in its day, Flipboard is part of a sea change in the way that people consume information. Zealous true believers in digital utterly dominating print always ignore the inconvenient fact that the NYT still sells almost 1 million print copies a day (more on Sundays), and doesn’t discount the way USA Today or WSJ do. They might also try presenting a less biased account of news events. I gave up my subscription to them because their reporting was not balanced. Other digital news initiatives are using micro-licensing systems to distribute content, and expanding their reading audiences and advertising revenue channels in the process. NYT is just now exploring the micro-licensing approach to offer content to non-subscribers. Should be an interesting experiment to watch in 2012. Good article, Mathew. Another critical area for them to focus on is their social strategy. It is super important for any media company right now. Often audience acquired via social media is twice as valuable as audience acquired by search. Wetpaint has a lot of data to support this. Maybe taking the paper back to an actual news reporting entity instead of a mouth piece for the liberal left. That would be a start. The NYT is completely irrelevant and America knows it. PS I generally like what you write. I just don’t understand the opposition to paid for. I am really surprised that you think NYT should ignore the paywall and do other stuff. Good journalism cost a hell of a lot of money, even though the salaries are so much lower in the US than in Denmark (where I am from). the paywall will NOT compensate from the losses in print. But it will be one of many smaller revenues needed in the future (also revenues from events etc) to sustain great journalism. So Mathew, even though paywalls in your view did not work historically, it may work in the future. Let’s hope that for professional journalism. You want a salary, too, right? Thanks, Pernille — I’m not saying the NYT should shut down the paywall, just that it shouldn’t focus too much of its energy or resources on it, because it is likely to produce diminishing returns. Mr. Ingram, you NEED to read the NYTtimes financial statements. You have considerable factual errors here. The paywall is unquestionably covering the losses in print advertising at the flagship paper. Go to page 22 of their 10Q from Q3. Their year-over-year decline in advertising was 9.9 million dollars. Their circulation increased in that same time period by over 10 million dollars. That is the paywall, pure and simple, and it has covered their losses in print at the flagship paper. In short, it is the ONLY thing saving that paper from the red. 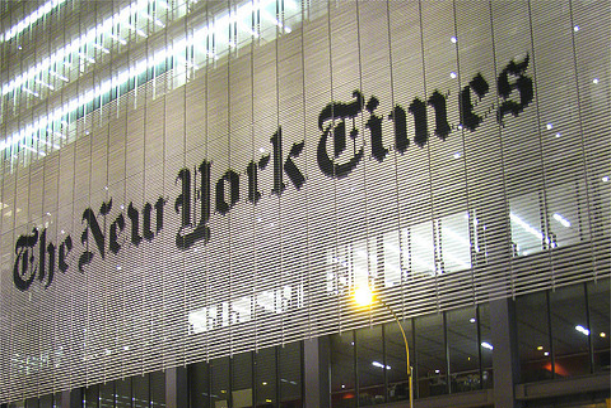 The NYT Company as a whole lost more money in advertising than it gained in circulation. This includes other papers including then Boston Globe. One could easily make the argument that they don’t have enough paywalls, or didn’t in Q3. I have read the NYT financial statements, and it’s true that circulation revenue increases have kept pace with print advertising declines at the paper, at least in the third quarter. However, at least one financial analyst who covers the company estimates that for the year, gains due to the paywall will not cover print advertising declines. Whether that is true remains to be seen. Thanks for the comment. #3 I’m surprised more news orgs don’t do events, although these are more profitable for topical publications, I think they could work for the NYT. I agree that when it comes to apps, revenues aren’t the biggest incentive. I think that, along with events, an app that is part of a platform can engage audiences and I think that engagement (& inclusion in the news reporting process) will determine the paper’s strength in five years. Totally agree, Dani — thanks for the comment. NYT has been finding its way in the digital age, stumbling here and there. But it’s doing the right things. Above all, its journalism remains first-rate and that – more than “apps,” more than flipboard readers or e-book imprints – will drive revenues. What’s more, there’s no evidence to suggest that the paywall has been a mistake. Nor is there any evidence to suggest they’ll benefit from modifying that policy. If you’re privy to that, please do share. I’m not privy to any inside information on the paywall, but historically such features peak and stop growing fairly quickly, and that’s why I think the Times should focus on other things.